A talk with Laura Sayan sharing 7 tricks to embrace the jewelry layering trend! Laura Sayan answers all the questions you ever dreamt to ask in order to master the art of layering! 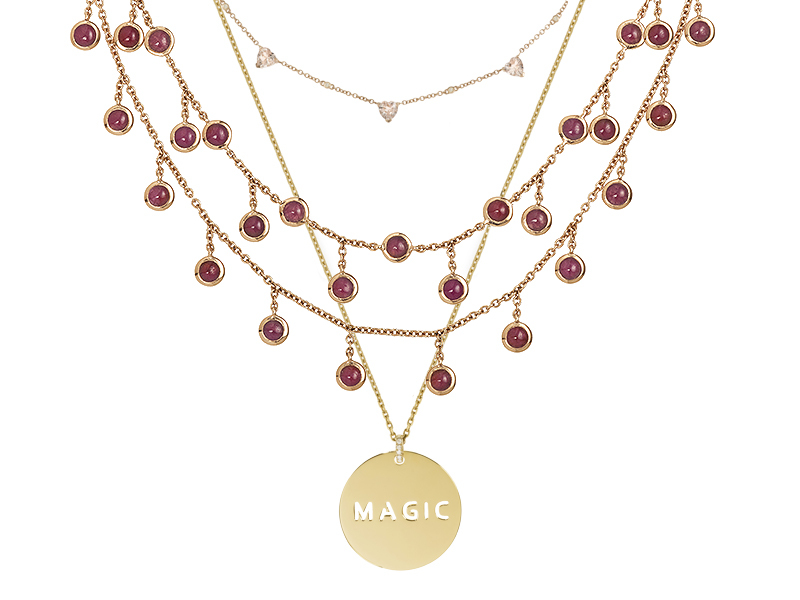 In our dreams, our neck is adorned by delicate pendants that perfectly match each other for a unique and personal look. In reality, busy days lead us to put the same jewelry on day in and day out! 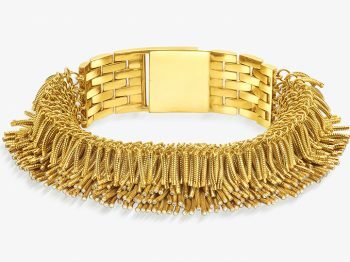 The Eye of Jewelry sat down with Armenian designer Laura Sayan, founder of her eponymous jewelry brand, to decode the layered trend and teach you how to pile up like a pro. We are often said that gold goes with gold, and silver goes with silver. When it comes to layering, mixing materials is a hit or a miss? It’s a hit! I love the mix of styles, materials and stones that this trend involves. Mixing gold and silver is not a jewelry faux pas for me, it is seriously chic! How many pendants are required to create the perfect cascading? Is there a magic number to stick to? I don’t think there is a special number to guarantee you a perfect layering combo. As a jeweler, I would rather advise you to mind the render. Are the pieces harmonizing with one another? Does the graphic rendering please you? At the end, that’s all that matters. For an elementary introduction to layering, what are the must-have pieces to make a statement? To start, you will need some essentials pieces to style your neck such as a choker or a necklace on the lower part of the neck (with 1,2 or 3 rows depending on your choice) and a long chain embellished with a large pendant. You can’t go wrong with these must-have pieces! Can you give us your favorite combination? My tip is to mix up a bold choker with a 2 rows necklace combined to two long chains from different size and two beautiful pendants. That’s my secret for a creative look that highlights your plunging neckline! I have read somewhere that it was all about length mixing. What is your secret to combine high and low chains and spacing them? All my necklaces are adjustable which makes it so easy to adapt the size, whether you want to wear them short or long. 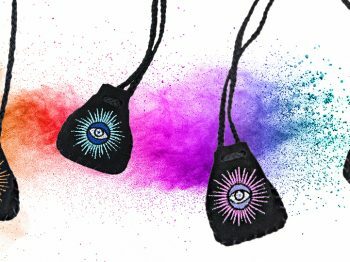 Regarding the pendants, I never wear them in the usual way closed with the clasp, I prefer to roll it once around my neck and let the chain float on my chest for a more laid-back allure. What about the rest of our look? Should we keep it simple or not? My rule is that there are no rules! For me, the most important thing is to pull on together your favorite pieces, the ones that you love to wear daily because they make you feel empowered. You know, when it comes to jewelry, I am far away from minimalism! I create pieces that can be mixed, matched and stacked, so I’m doing the same on my jewelry routine: I adorn my ears and hands too with rock & roll infused pieces that add my look a pop of contrast and color.